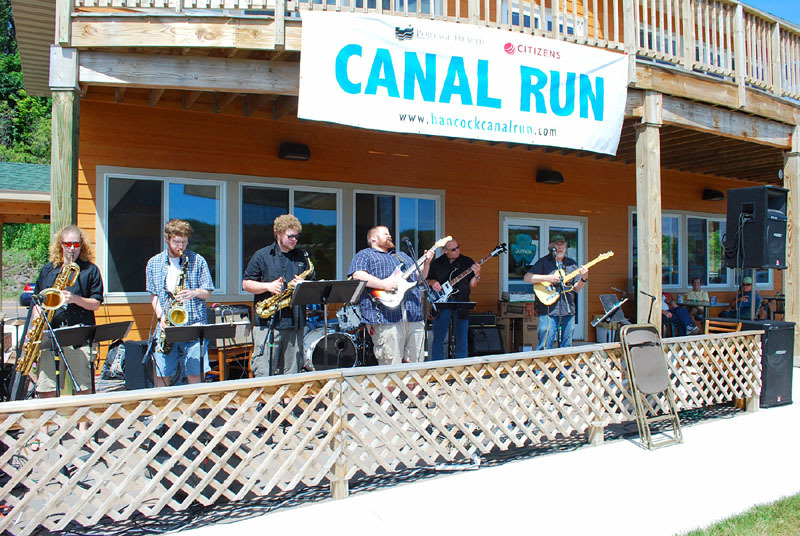 The 35th Annual Canal Run became the First Annual Canal Weekend event this year, as activities increased to become a larger three day happening in July. 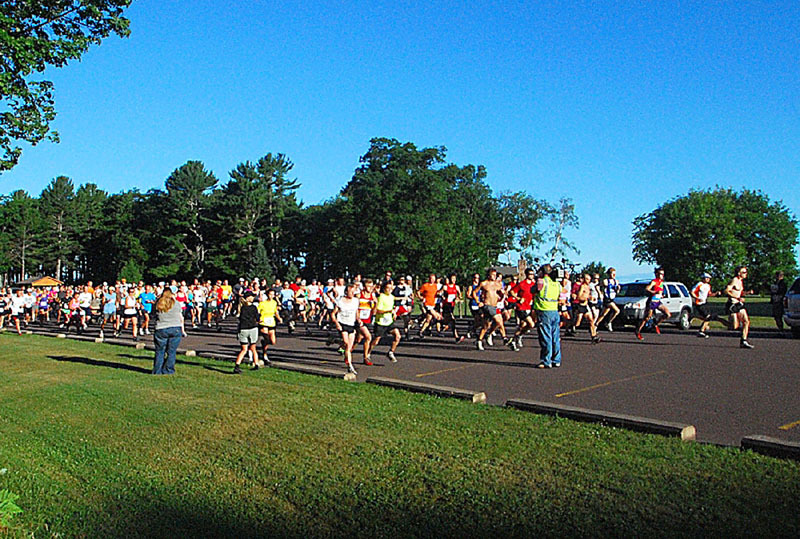 The Canal Run portion kicked off early Saturday morning with the start of the 10 mile Walk & Run at McLains State Park, on Lake Superior. Here, the Run start. Note WLUC-TV6 Sports Director Mike Ludlum (yellow vest w/camera ( R )), making a ‘death defying ‘ video from head-on. (Mike somehow survived, as did those who crashed into him, apparently). There were 667 persons signed up this year. 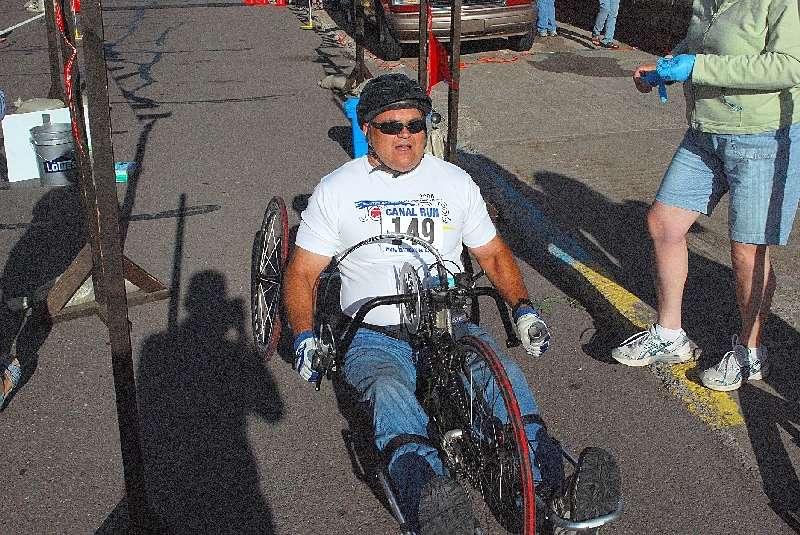 First, in the Wheelchair division, was again Dean Juntinen, of Mass City, MI. 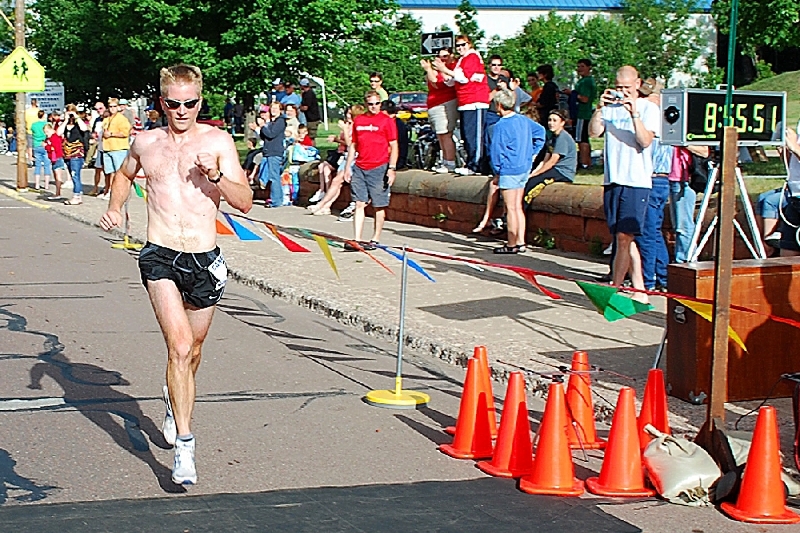 Carl Watzak, of Houghton, won the men’s division run with a time of 54:49, in superb weather conditions. 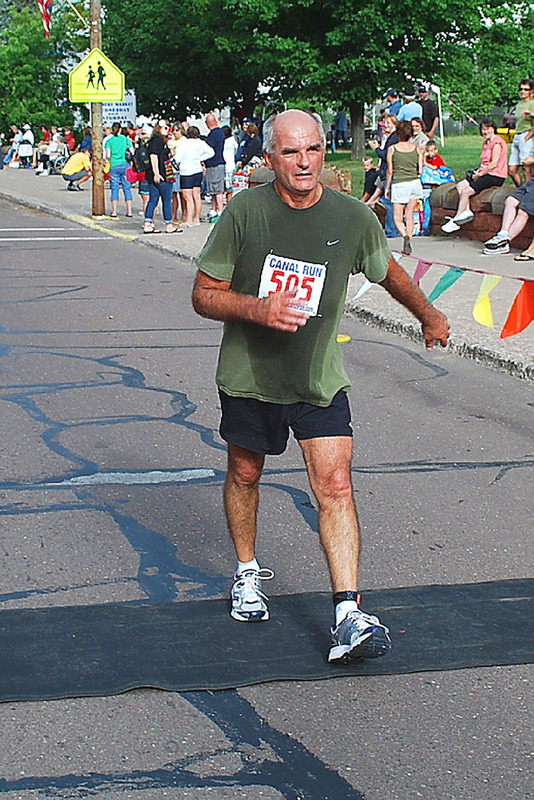 Karl finished second last year. 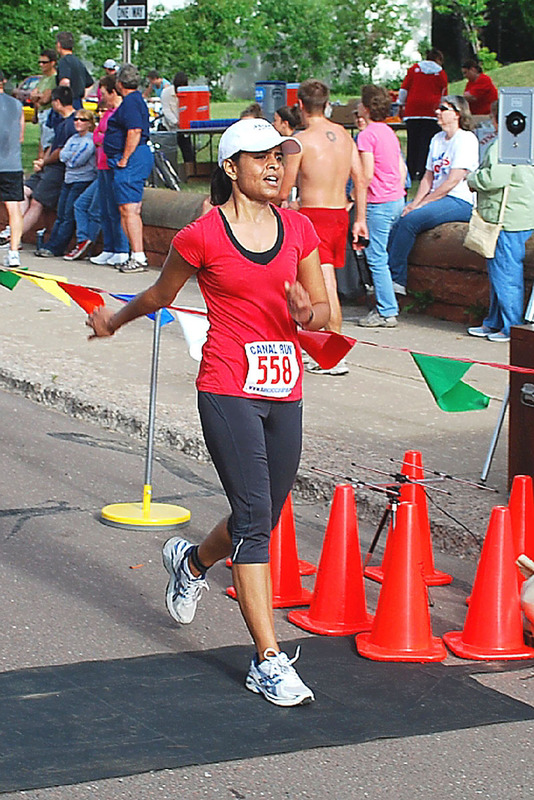 Amy Hausworth, of Hancock, won the woman’s division run, with a time of 1:03:16 . It was at least her 3rd straight win. 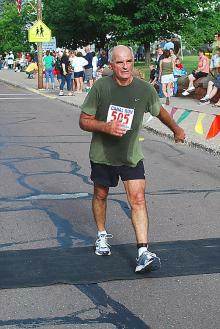 In the 10 mile Walk, Tim Bennett, with a 1:55:11 time, won the men’s division. 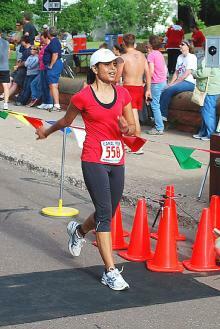 And Lakshmi Knishna, of Houghton, won the woman’s 10 m. Walk division with a time of 1:57:50 . Also held was the Timber Trails Horse Show at the Fairgrounds in Hancock. 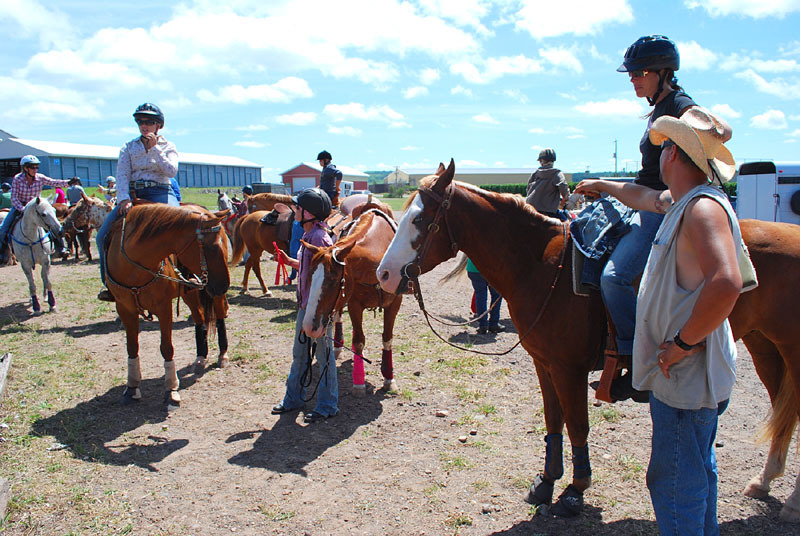 A group of young riders await their turn at the barrel run. 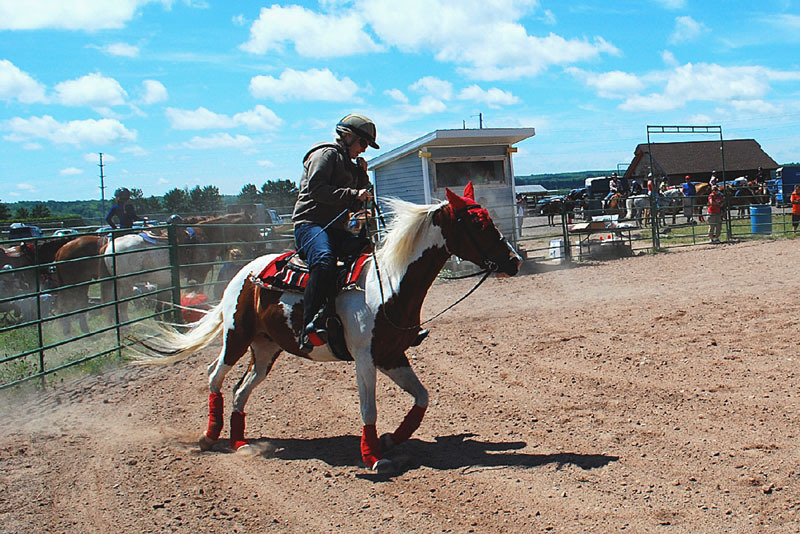 A rider finishes his event. The Uncle Pete’s All Star BBQ Blues Band performs at the Copper Island Beach Club, where Kids’ Volleyball action took place, as well as the Beach Doubles Volleyball Tournament was held. And the Canal Swim, a half mile event open to anyone, along the Hancock Waterfront on Sunday morning, was a new event this year. Held at various times in past summers, dating back many years, it was revived again this year. 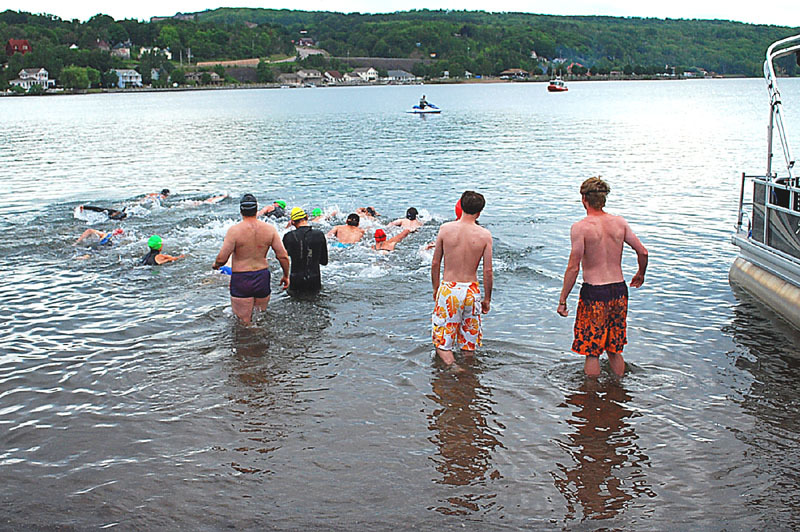 Here, the start of the swim at the Ramada Inn.